I’ll be honest, I don’t buy Neal’s Yard Frankincense Nourishing Cream for what it can do for my skin. I buy it purely for its intoxicating fragrance. Frankincense aids deep relaxation and some nights, after a hot bath, I massage this into my face and neck, jump into clean sheets and drift off, dreaming of exotic places where, long ago, people lived in jewelled palaces, with courtyards surrounded by orange trees and damask roses, eating Turkish delight and ripe figs from silver platters. Deep, fragrant, peaceful sleep. That’s what frankincense says to me. Juniper on the other hand is, in my opinion, one of the best oils for burning on those nights when you just need to clear your mind and reboot. It says new beginnings, clean slate, declutter. It also has sedative properties so will help you drop off (but don’t forget to extinguish the oil burner first!). The scent lingers for ages, so burn it an hour before bed. It has a meditative quality and would work well with a yoga practice. Calm, refreshing sleep and a clear head. That’s what juniper says to me. The geranium and orange is a hand cream that I massage into my feet before bed. Geranium and orange is a ‘pick me’ up blend. It makes me feel happy and settled. Orange is a nervous sedative, so can help if you are a little on edge. Geranium has mild anti-depressant properties. Used together, they help you feel calm and relaxed. Balancing. That’s what geranium and orange say to me. You don’t have to create your own essential oil blends to benefit from their therapeutic qualities, but you do have to buy well. There are many lotions and potions on the market, but once you understand what they can do for you, there is a point when you just cannot go back to the synthetic and cheap alternatives which look pretty but do nothing else. 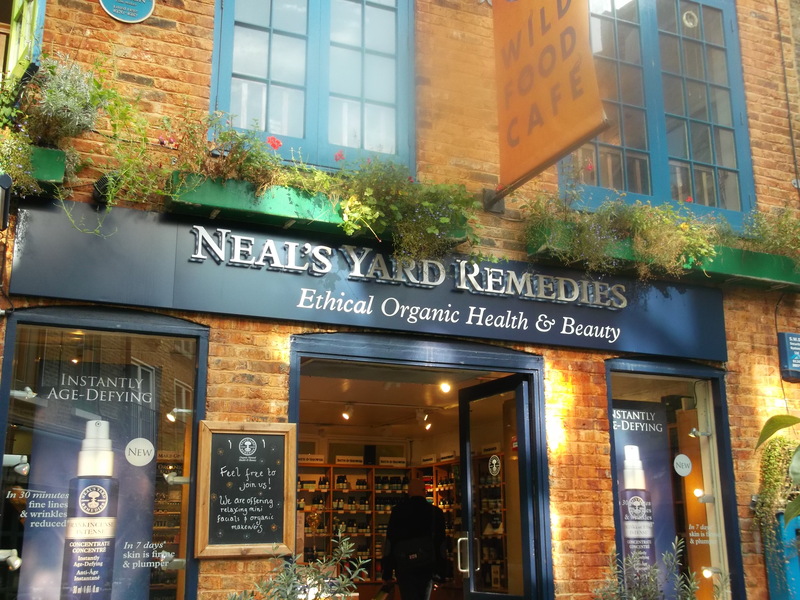 This isn’t an advert for Neal’s Yard – it just happens that they are one of a number of ‘go to’ brands that I choose when I don’t want to make up a blend myself. If you are unsure about blending, just try essential oils on their own in a burner. It’s a good way to see how you feel about each one. You only need a couple of drops so it’s a really cost effective way of fragrancing your home too. Juniper (Juniperus communis) is my ‘go to’ essential oil for renewal. By this, I mean those times when you want to re-set the clock to zero and get your mind and body back on track. 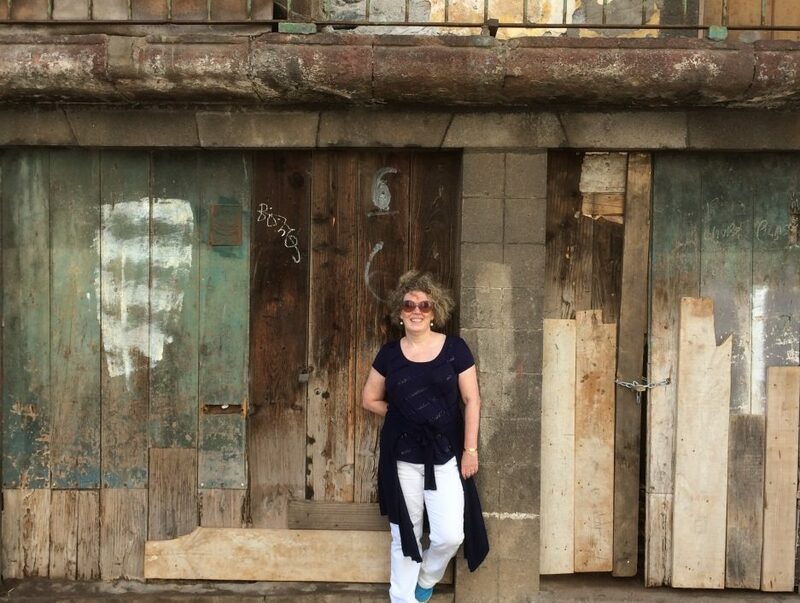 The summer has been busy, with lots of lovely travel, but also, my heart palpitations have been causing me some anxiety, so getting some good news from the cardiologist last week has really perked me up and to some extent, I feel I’ve entered a new phase. Just run a warm bath and dissolve the mixture. Juniper has a detoxifying effect on the body (good for hangovers!) but also acts as a sedative so it’s perfect when you need some down time. Most importantly for me, it has a reputation for cleansing on an emotional level which is just what I need. This is an oil I often use in an oil burner in the bedroom to help me wind down. It blends really well with frankincense. A good tip if you have been spending time with someone you find emotionally draining, is to place a drop of juniper essential oil between your palms, rub hands together and pass them over your body. You should not use juniper essential oil if you have problems with your kidneys or if you are pregnant. I have a heart condition, so the recipe above is a fairly weak dilution, as are all my blends. PS I bought my essential oil from Neal’s Yard. It cost around £13 – always buy good quality for therapeutic use. 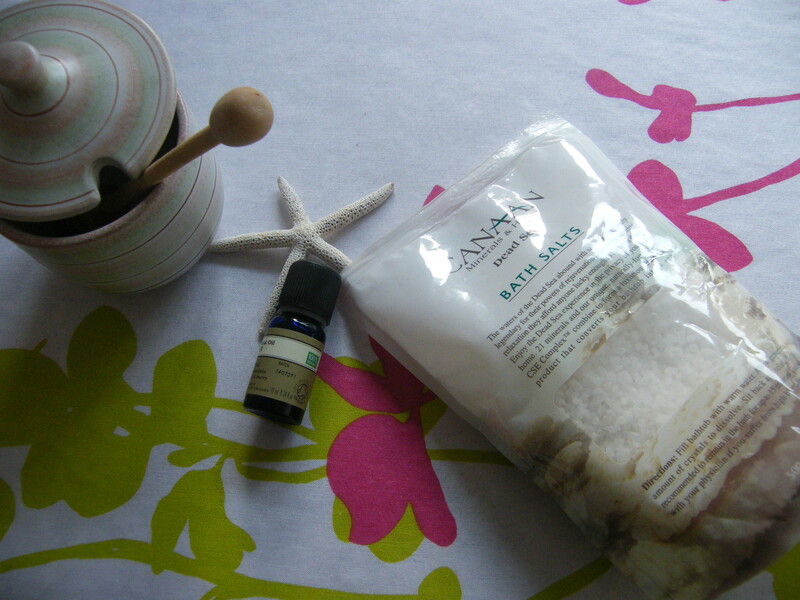 The Dead Sea Salts were £3 from TKMaxx and the ceramic jar was 50p from a charity shop. Anyone else like to make their own blends? These two pretty Devon towns are linked by the South Devon railway which runs along the River Dart. Totnes is a hippytastic heaven for a flowerpower child of the sixties and seventies like me, with its abundance of offbeat boutiques, charity shops and of course the wonderful Neals Yard. 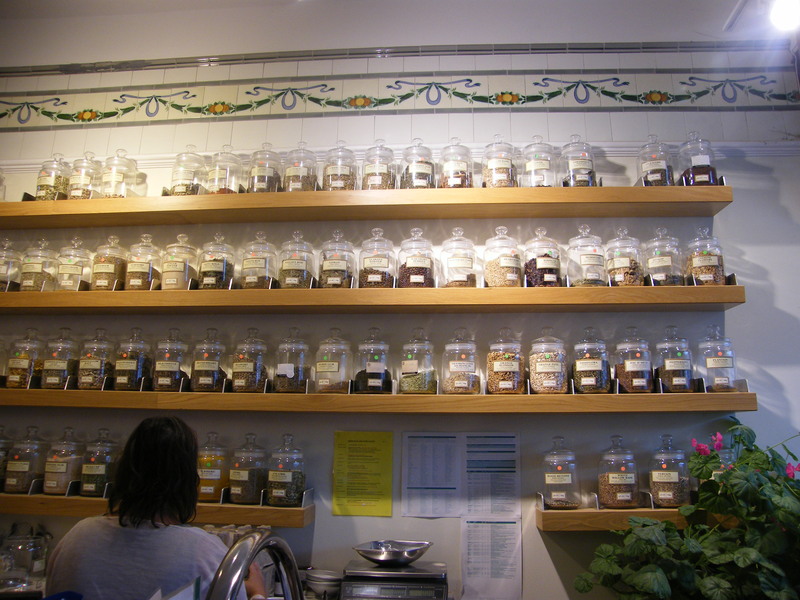 I spent ages in here just looking at the essential oils and jars containing herbal remedies. Please open a shop in Chester soon! This time, I bought some juniper essential oil which I will be burning in September for that ‘new term’ vibe that autumn brings. 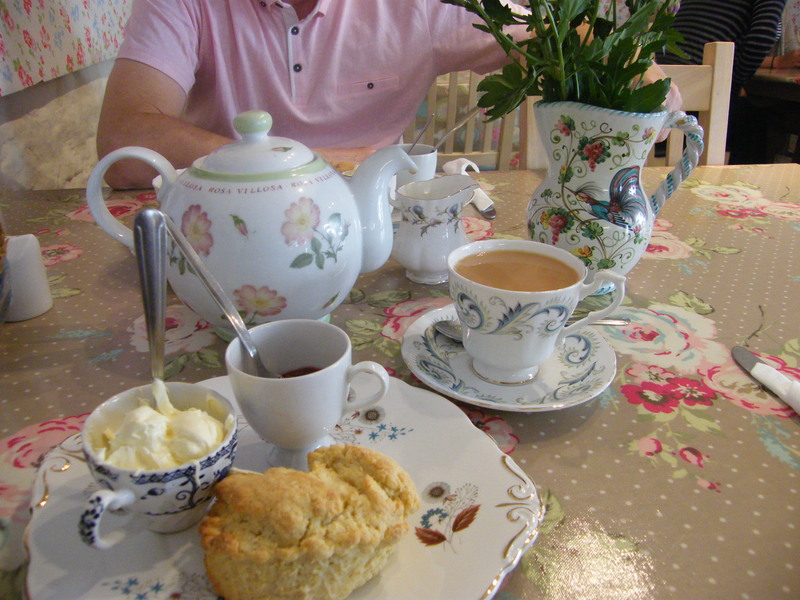 Totnes also has lots of teashops and it would be rude not to have a cream tea. I loved this mismatched china. 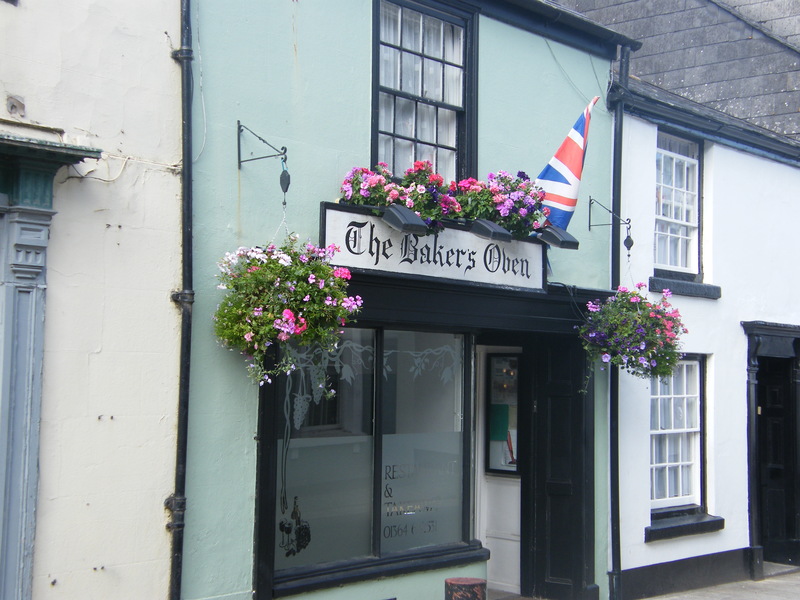 We went onto the little town of Buckfastleigh to visit relatives who own and run the Baker’s Oven – a lovely bistro on the main street. 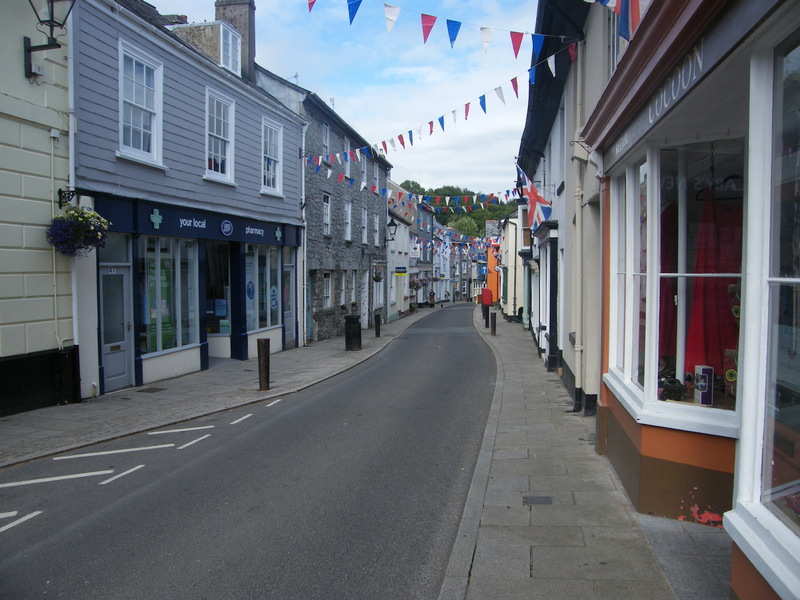 The town was bedecked with bunting while we were there. Not sure if this is all summer long, but it does give the place a summer holiday feel. These two towns turned up my best charity shop buys of our road trip: a set of retro seventies jars and a jam making pan – just what I’d been looking for. I can’t pass a charity shop without a mooch! Which member of a ladies choir doesn’t like a musical! What about a musical, a stay in London, a bit of shopping and some sightseeing? Bring it on! We had just one night and one day to squeeze in as much as possible on a mini break before getting the train back to Chester. First stop shopping! It was the end of October and the Christmas lights were just going up in Covent Garden. Everything had that sparkly feel about it. 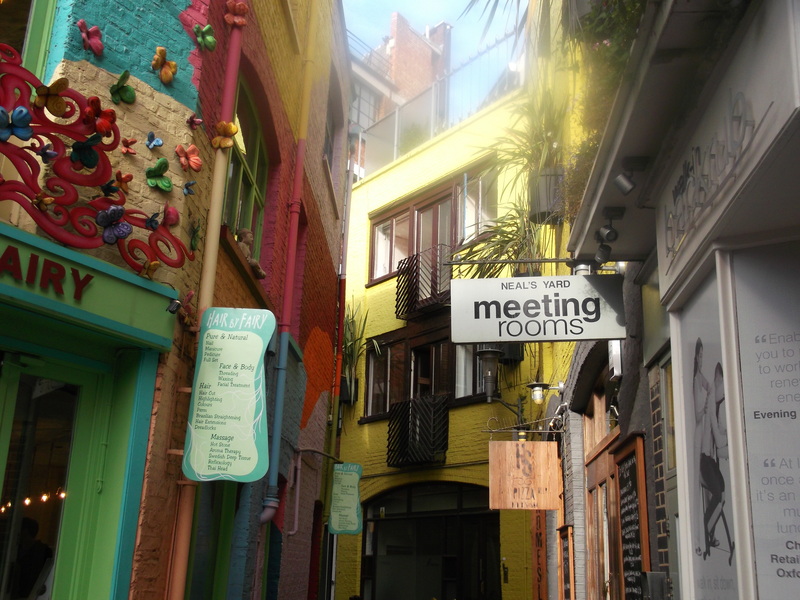 There was only one must see on my agenda, and that was Neal’s Yard Remedies in the Seven Dials district. I bought a few things but somehow none of them made their way into anyone’s Christmas stocking! Aside from that, we enjoyed browsing the independent shops and bought some candles and foodie treats to take home. I had won tickets to see Mamma Mia at the Novello Theatre so picked a place to stay nearby: Belushi’s in Covent Garden where they have rooms over the bar. The location couldn’t have been any better, but the room was a little tired and grubby round the edges. Still, it was a place to rest our head. 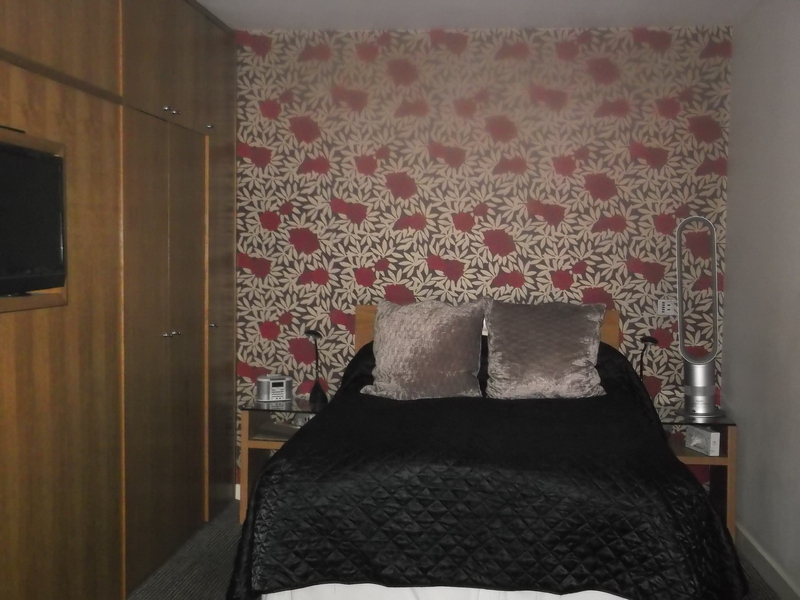 For £160 in Chester you could stay in a fabulous hotel room, but in London, this is what you get for your money it seems. I’ll look elsewhere next time though! The show was fab! 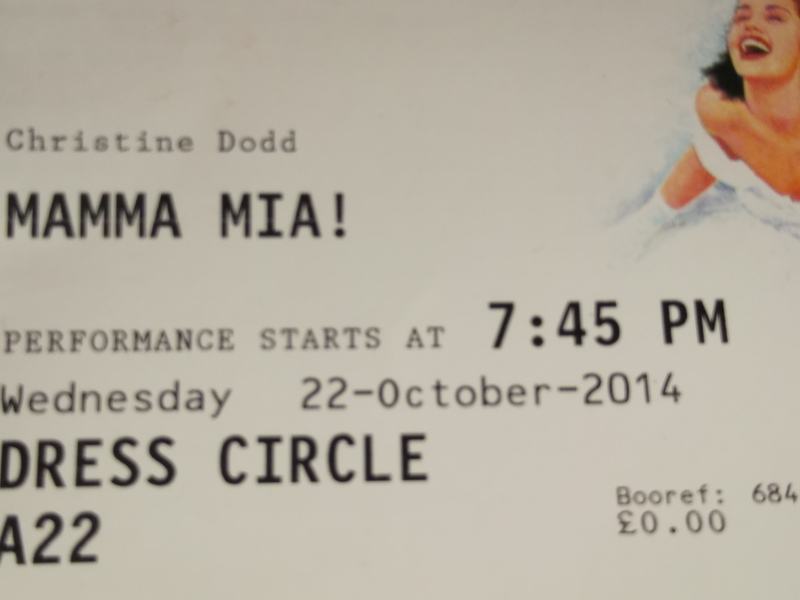 I was a huge Abba fan and I’ve seen the film numerous times so it was a real feel good experience. It was fun and fast paced and the singing and dancing were first class. The following day we made a bee line for the WWI Poppy art installation at the Tower of London, walking all the way along the embankment from the Houses of Parliament. 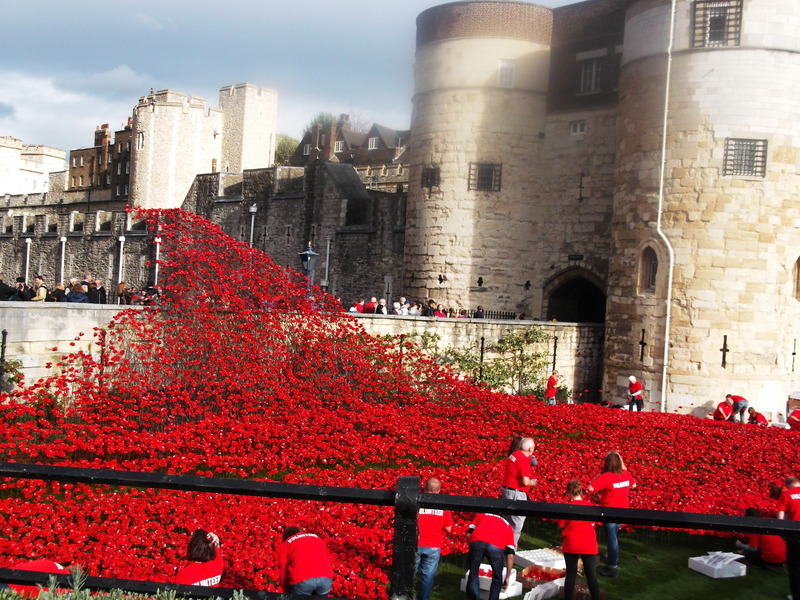 It was a really moving display and I’m so glad we saw it before it was dismantled. I’d like to make this London theatre break a regular thing, maybe pre-Christmas every year. Let’s see what happens!